Cook, T., DO, Piatt, C., DO, Barnes, S. BSN, Edmiston, Jr., C.E. PhD. The Journal of Arthroplasty, 2018. During the early era of arthroplasty the concept of ultraclean operating room was introduced based on the principle that the number of airborne particles in the OR directly influences incidence of device-related infections. 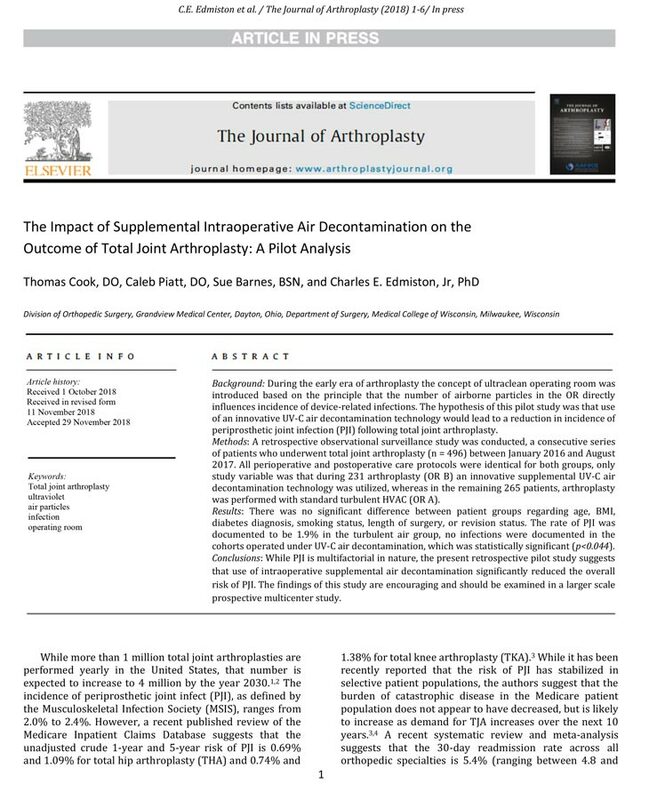 The hypothesis of this pilot study was that use of an innovative UV-C air decontamination technology would lead to a reduction in incidence of periprosthetic joint infection (PJI) following total joint arthroplasty.